Finally, it is the time for my month update. I can’t believe my blog is four months old now. It has been an incredible journey so far, and I am amazed at the growth I could achieve. Thanks to all my readers. It was a great month for me with regards to traffic and income. There are many things I learned this month and many more things I plan on working for the next month. 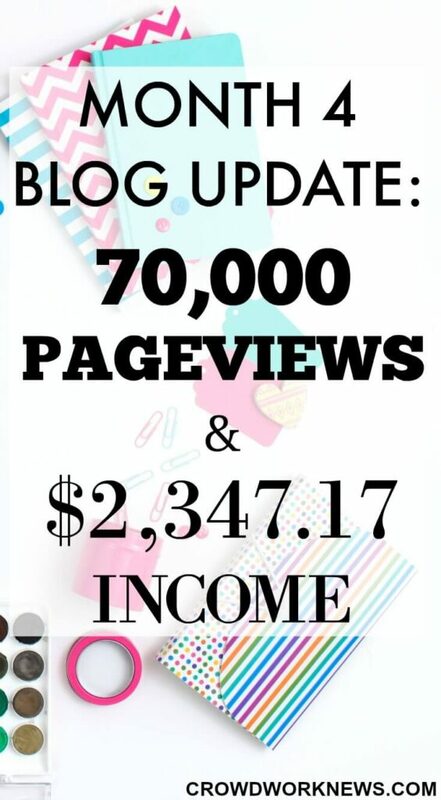 The two reasons I am sharing my blog update and income report, first to be accountable and then to show you no matter how young your blog is, you can make money from it. My target was to reach 70,000 page views this month, and I did not set a goal for income, as I wanted to see if it grows steadily. So, did I achieve my traffic goal? I got 75,000 page views!! I am happy to see that the growth is steady, and the page views are increasing. The bounce rate also decreased a bit from previous month. A couple of my posts went mini-viral on Pinterest. The main traffic source is Pinterest, with Facebook and StumbleUpon being the secondary sources. I always heard how great Pinterest is for bloggers; now I know why. I have also started pinning manually, testing a new strategy. I have 400 subscribers now, which is more than what I had set a target for myself. I intend to focus on growing my list further from next month. I understand that offering a freebie or having a great opt-in will increase the subscribers, but I am still brainstorming about what to offer in my opt-in which can be super helpful for my readers. I reached 1.4k followers, and that’s a jump of 500 in one month. I am totally happy with my reach. Pinterest has been a game changer for me. 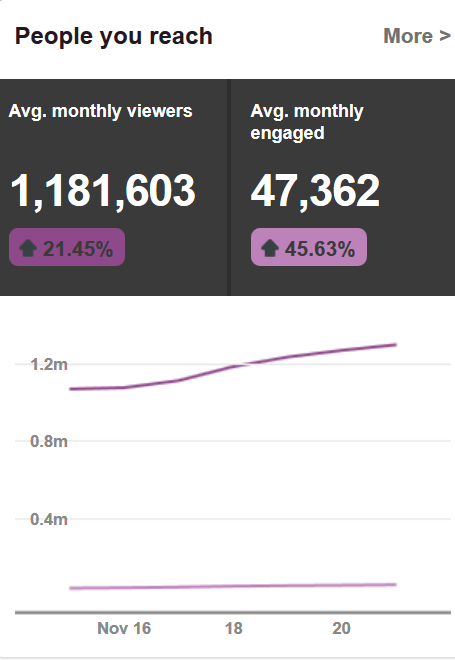 For the first two months, Pinterest was not the primary traffic source for me, but now it drives more than 90% traffic. I have been testing some strategies with Pinterest, which are working for me now. I am at 750 likes on Facebook. It is the only social media platform which drives more traffic after Pinterest. I have devoured Brittany’s Ebook and can say for sure; it is working great for me. I intend to increase the reach more this month by experimenting on some posts with different timings. I am not focusing on Twitter much, for the fact that it is not getting much traffic. However, I do post on it regularly, but I need to focus on it more like Facebook. Ok, I have totally neglected Instagram. I do understand that building this platform is important with regards to brand opportunities. I need to take the time to work on it, which I plan to next month hopefully. I am happy with the way the income is growing. I was always skeptical about getting such an income so early in the blogging journey. But now, I know that if you implement proper strategies and work hard towards promotion, it is possible. 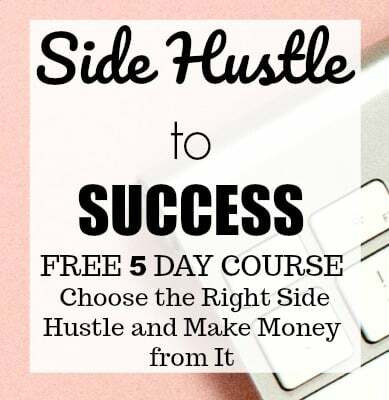 One resource that helped me immensely to generate my income is Michelle’s Making Sense of Affiliate Marketing course. 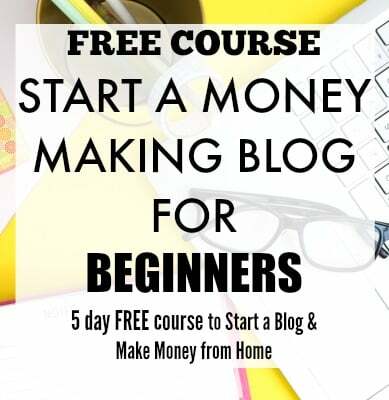 I never took tons of courses before starting my blog; this was the only course I took, and it has helped me to understand every aspect of affiliate marketing and many things about blogging as well. I firmly believe that blogging is a journey where you help others with your knowledge or passion, and you learn something every day. This month I invested in the Ultimate Bloggers bundle to learn more about every aspect of blogging. I have only gone through a part of it, and it is definitely worth the price. I changed my ad network to Mediavine, which is doing good so far. I have heard a lot about this ad network, and I am testing it now and will update you how it goes. Right now I am testing different strategies for Pinterest, which are working out. I will keep you updated how these go next month. I am so thankful to Carly for sharing her strategies which are getting me great results. One biggest lesson I had learned this month is, you don’t need to have a super popular blog, or you don’t need to have all of your posts to be viral to generate income. Even a single viral post can generate revenue for you. Investment of time and money towards learning and implementing new strategies are necessary to grow your blog. Though I didn’t make much last month, I invested in learning this month, which is already paying off. I have started writing reviews for some online money making resources for the reason that there are so many scammy ones on the web. I am happy to know that many of my readers are having a great benefit from my side hustle interviews which I intend to continue in the coming months. I am also trying to implement some tips in Blog Traffic Ebook with regards to Google+ as I want to see the potential of this social media platform. With the steady growth of page views for the last three months, I am aiming at reaching 100k page views next month. If I can achieve that, that will be a HUGE win for me. Ending this year with such a significant milestone would be awesome!! I would love to increase the income next month. Hopefully, I will see a bigger figure than this month. I have to work towards increasing my subscribers to 500 next month. Maybe, I can figure out what to offer to my readers. As a new blogger, the whole blogging thing can be too much to handle when it comes to some aspects like getting traffic, making money, increasing followers. But it can be a smooth process if you implement the right strategies, here are some resources which helped me to reach this stage, I highly recommend them and they can be quite helpful no matter at what stage of blogging you are. I am excited for next month as is it the end of the year (hope to see further growth in income). I have some more interesting interviews, reviews planned for next month. How was your blog month update? Please share in the comments. This is awesome!!! And so inspiring. Can you share a little more about your Pinterest strategy? My blog is only two months old and my reach is at 300k/mo, (despite being on more group boards than you are 😉 ). I thought I was doing pretty well for myself but your results are crazy crazy good! Thank you!! I am happy you found this helpful. I have started pinning manually without the scheduler. I am not sure why, but there is a difference in pinning manually, the reach is more. I did test pinning the same pins at the same time with the scheduler(Tailwind), it did not have the same effect. I do follow your blog and you are doing great!! Hi!! New reader 🙂 This is AMAZING!!! That’s what my income will look like this month and I’m 2+ years in!! Thanks for the book recommendations! Very true with blogging – every single day is an opportunity to learn something new 🙂 Hope you have a great day!! I would definitely love to grow my Instagram, I have been totally neglecting it. What an amazing month for you! Those page views are insane for only 4 months of blogging. Thank you for commenting:-) I am totally amazed at my results, but Pinterest is the major reason for it. Awesome and inspiring!! I am a stay at home mom, launched my blog a month ago. Struggling to find the ways to grow my page views. Also, looking for a passive income stream. Your articles are really helpful. And, your blog growth report is really inspiring. Thank you for sharing. Thank you!! I am glad you liked the post. Pinterest can be a really big traffic source. Try promoting more on that platform, I am sure you are going to see great results.